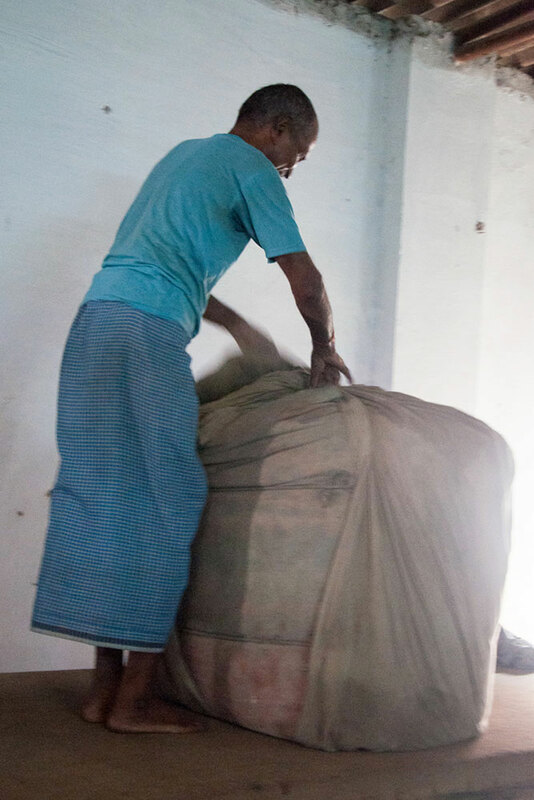 Artisan is involved in the process of screen printing. 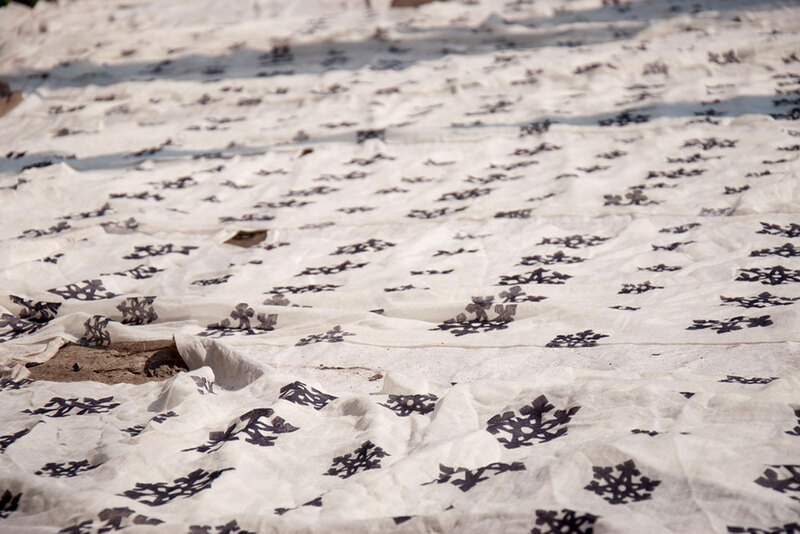 The cloth is stretched out in the sun to dry. 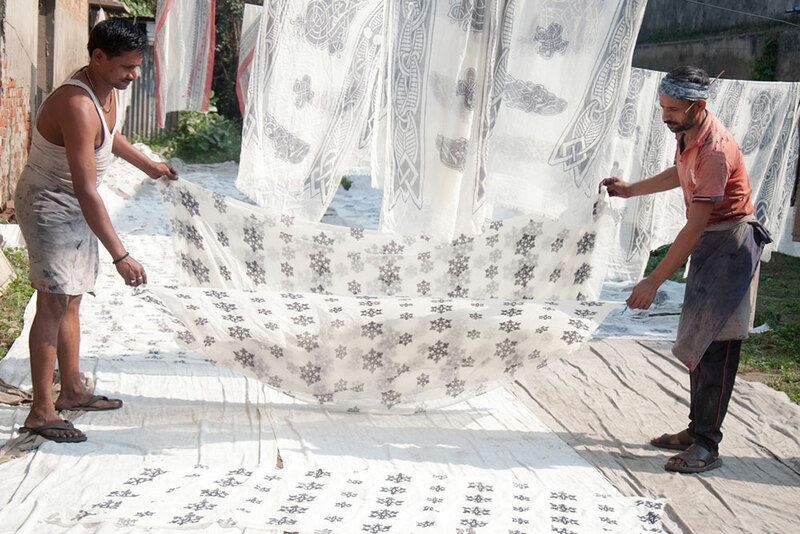 Screen printed cloths are required dry either reverse or fold into two to avoid direct fall of sunlight. 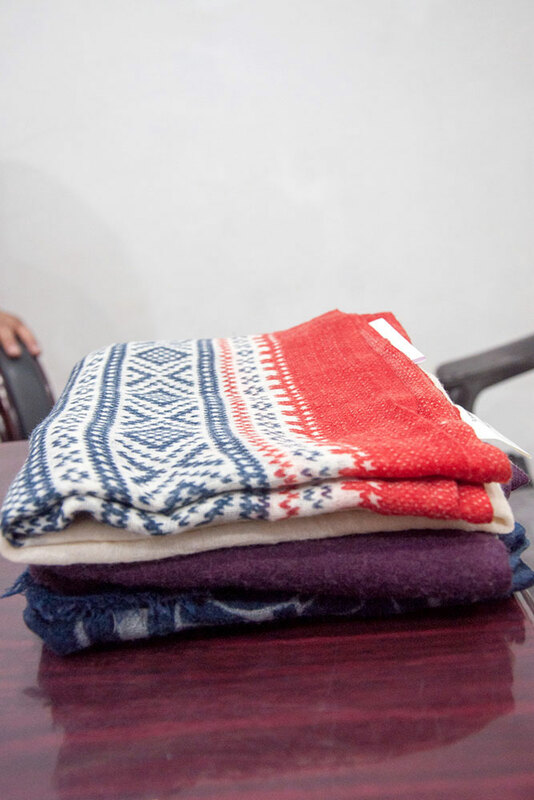 Samples of screen printed fabric for approval by vendors. 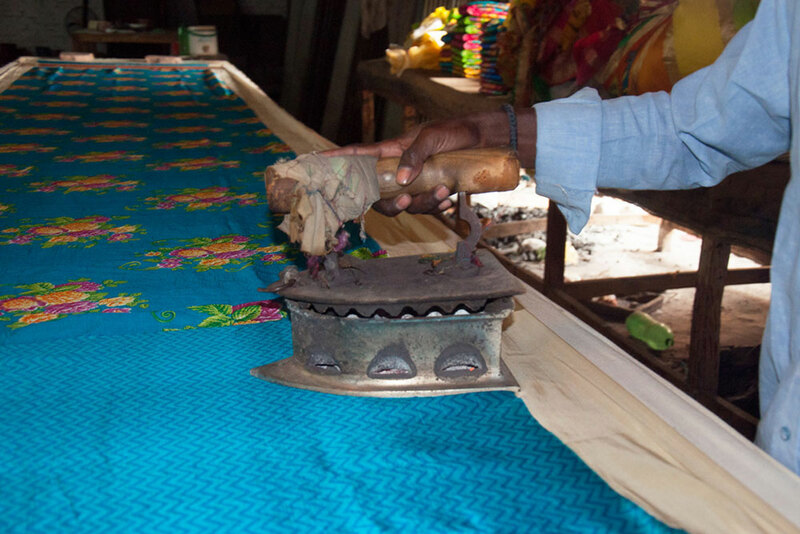 Two artisans are involved in folding a saree in a particular pattern. 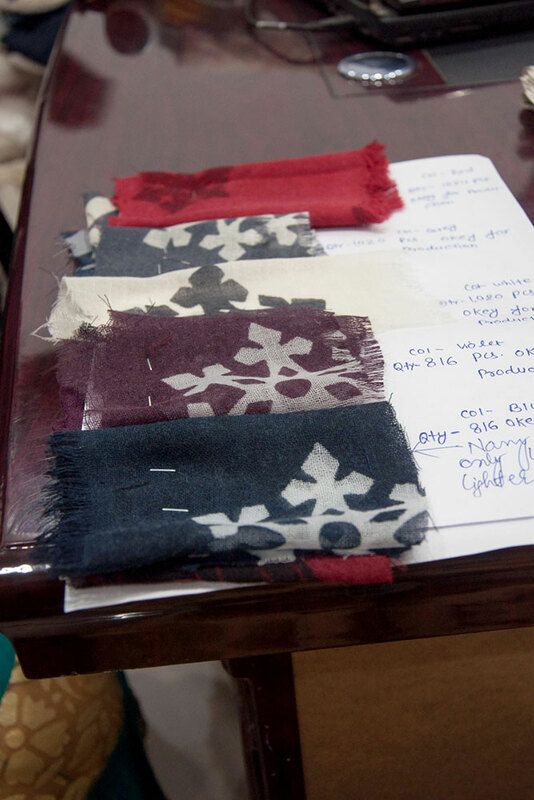 Fabrics which are finished with all the process and ready to use or sell. 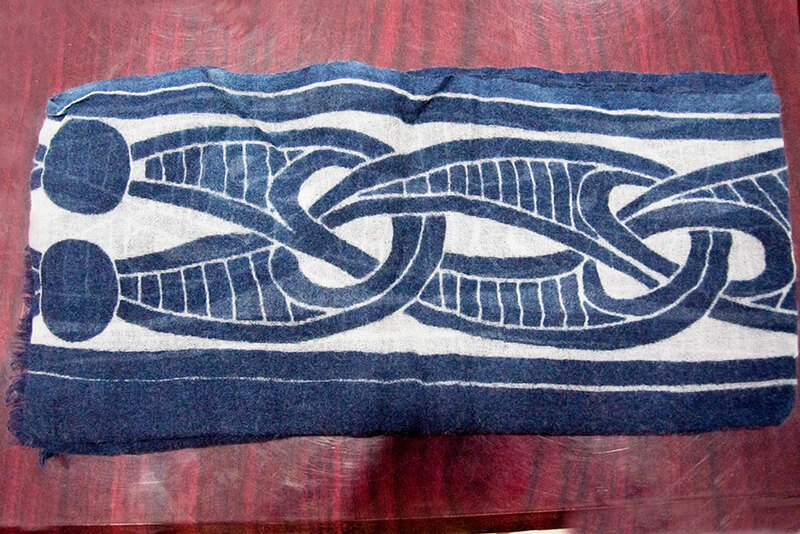 Different design is used to print on fabric. 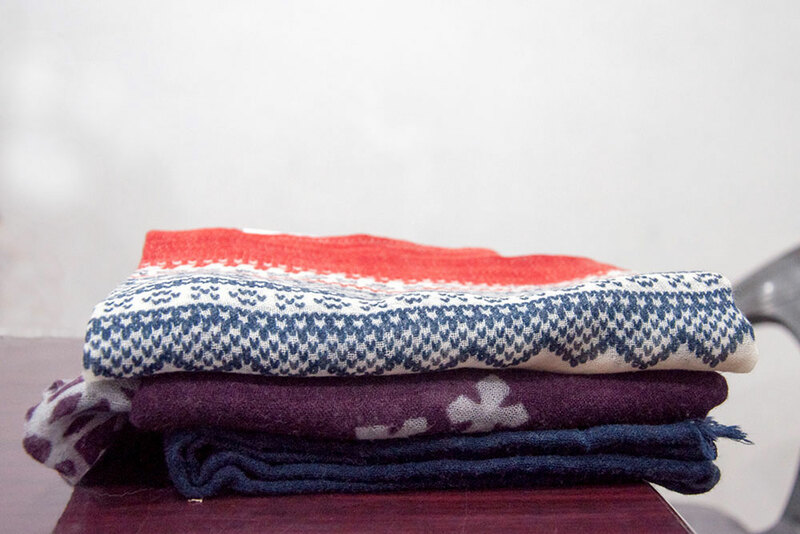 Each design pattern is composed with different colour combination. 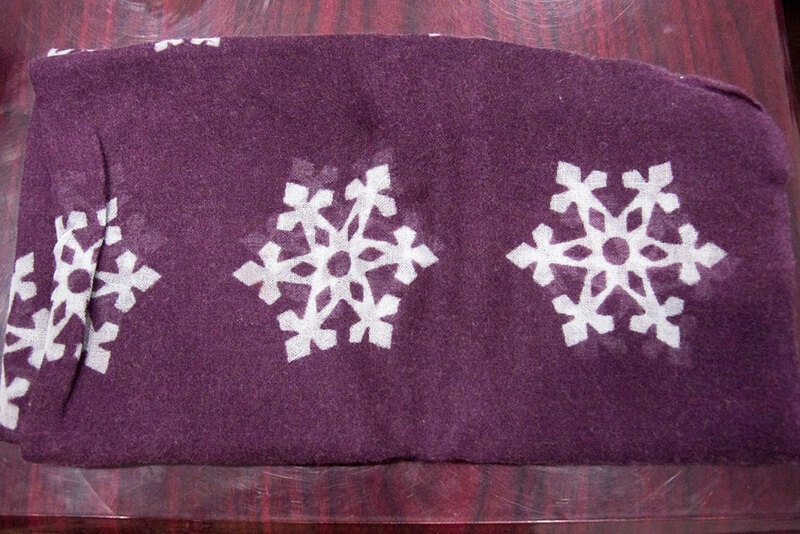 Screen print product in snowflakes Pattern. 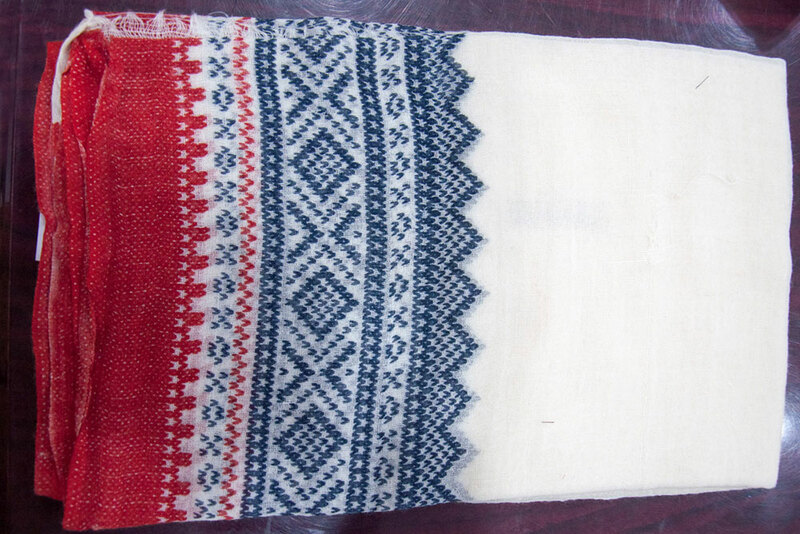 White stoles with red and blue combination. 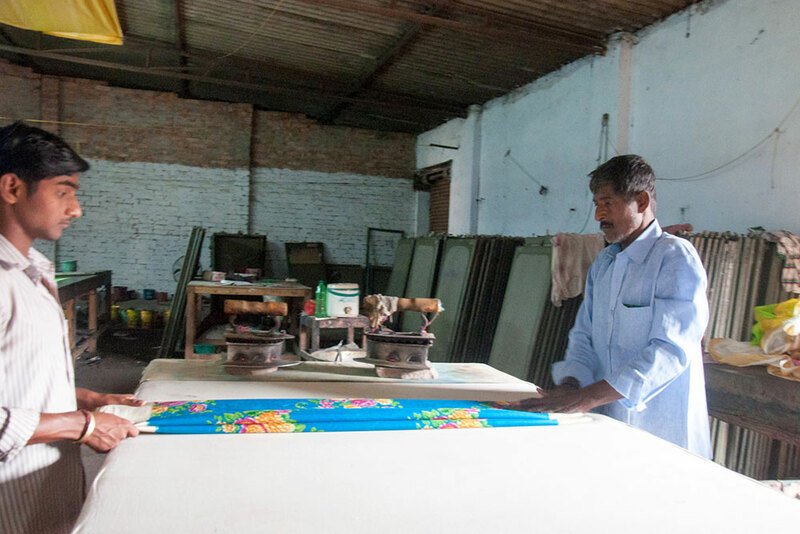 Screen printing is a printing system where a mesh is used to transfer ink onto the material to produce the design. Business of screen printing is an old one. 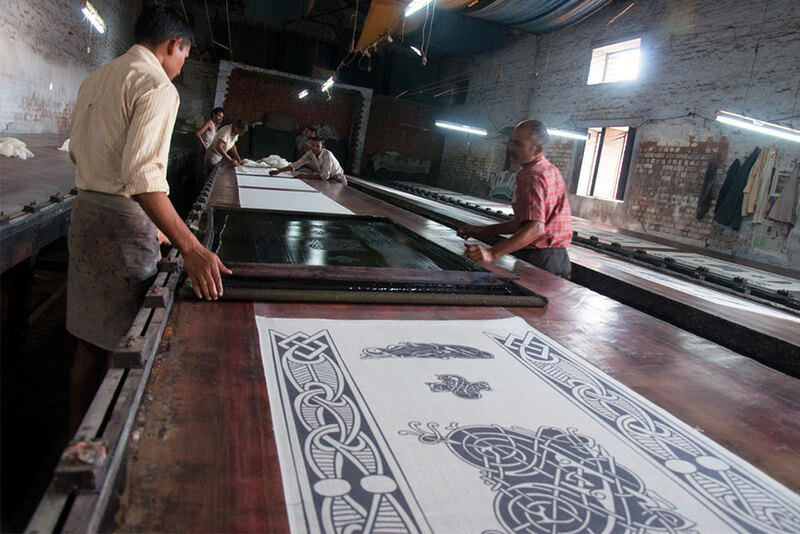 There are many screen printing factories found in Varanasi and the place from the ancient times has been noted as one of the best centers of handicrafts and as an important industrial Centre, Banaras sarees are one among the noted and preferred works that is produced by craftsmen of Varanasi which is not just famous in India but also across the world. In screen printing technique there is a mesh that holds the design and ink is passed on through the pores that settle on the fabric and the designs get imprinted. The screen is constructed first with appropriate precaution making sure the design area to be flawless where the ink is passed and the area beside the design to be impermeable to the ink.